ABSTRACT: : Because of their novel harmonic and formal tendencies, Bruckner’s symphonies are often subjected to extravagant analytical practices. Schenker, himself a Bruckner student, viewed them as sublime, but ultimately unworkable, harmonic jumbles: “a potpourri of exaltations.” Darcy has argued that Bruckner’s second themes are largely presented in the “wrong” key, creating a nontraditional “suspension field ... [isolated] from the main line of ... symphonic discourse.” Taking this view as a point of departure, I show (1) that Bruckner’s second theme key choices do not break from tradition—they have precedent in earlier, more canonic literature; and (2) that distinct “profiles” emerge from them: I-to-V in opening movements, I-to-III-to-V in finales. These profiles suggest both that Bruckner conceived of deep structure as chromatically saturated, and that he varied the degree of saturation to differentiate between types of movements. Thus, Bruckner’s chromatic second themes—far from “suspending” a movement’s trajectory—represent powerful, energizing events en route to the dominant. Bruckner’s reputation in this country is something of a mystery. We are told that he was a simple-minded peasant who wrote over-long and simple-minded symphonies; that he was, moreover, a “Wagnerian symphonist” and mystically linked with Mahler. The average intelligent . . . musician is properly impressed by the German-Austrian musical tradition; but when he is told that in these countries Bruckner is treated as the equal of Brahms and indisputably the superior of Sibelius, he decides that there are aberrations of taste even in the most musical of nations. He expels Bruckner from his consciousness not so much because he dislikes Bruckner’s symphonies—for at best he has probably heard only the fourth and the seventh—but because he has been told by a variety of . . . historians, writing with patronizing conviction, that Bruckner was a well-meaning bore “written up” by the Wagnerites to impress the Brahmins (70). It may come as a surprise that the above paragraph was penned by an Englishman (Henry Raynor) writing in 1955; for, with a small handful of changes, it could have easily been written yesterday about the current tepid atmosphere of Bruckner reception in North America—although I should add that the symphonies have recently become a more regular presence in concert halls. The theoretical outlook on Bruckner has fallen more or less in step with the general apathy of the performance community. But when theorists have turned to Bruckner’s music, most have done so with a problematic attitude that is well illustrated by one of Raynor’s statements in particular—that Bruckner was a “Wagnerian symphonist . . . mystically linked with Mahler.” The problem does not lie with the first part of this statement, given Bruckner’s well-known efforts to translate the operatic vocabulary of Wagner into a symphonic language. It is the connection with Mahler that I find troubling: How often do we think about composers in terms of their successors? Do we describe Mozart by saying he was linked with Beethoven? Certainly it is crucial to construct chains of effect and influence when talking about music history, but I find this forward-looking, modernizing approach to Bruckner anachronistic and ultimately unhelpful. In other words, the music is implicitly or explicitly denied the distinction of ‘organic tonal unity’ that commonly differentiates monotonality from other, looser varieties of tonality. (1) We are left to wonder: Of what sort, then, is Bruckner’s tonality? [1.4] These problems of “form and tonality” have long hindered Bruckner’s acceptance into the analytic canon. As Horton has written, “canonical preoccupations, perhaps combined with a more general atmosphere of musicological disdain, have created a neglect among Anglo-American analysts that has only recently begun to be redressed” (2004b, 20). But Bruckner’s liminal status within the canon has had ramifications surpassing mere neglect: more generally, such “canonical preoccupations” embody the lasting half-life of Bruckner’s poor reception by his contemporaries. Just as Hanslick and Kalbeck strove to isolate Bruckner’s work from the Beethovenian symphonic tradition, the theoretical community has distanced Bruckner from analytical procedures used on more standard repertoire (Venegas 2017). Searching for a palpable musical basis for this distancing—and for a way forward from it—has become a significant distraction in the scholarship; as a result, many theoretical articles about Bruckner (this one included) are obliged to start with a lengthy prolegomenon that takes pains to justify the author’s chosen approach and that grapples with the attendant methodological pitfalls. These extra hurdles, in my view, have hamstrung analytic work on the symphonies by reinforcing the impression that they are somehow unamenable to traditional means of examination. The present study attempts to undo some of Hanslick’s handiwork, thereby helping to ratify Bruckner’s reputation as a composer of tonal music—as a composer we need not fear addressing with an analytic system rooted in tonality. I hope, in the process, to avoid further reifying the “tonal canon” that has marginalized Bruckner and a great many other composers. [1.5] Indeed, it is my belief that by resisting the impulse to discount Bruckner’s tonality, we can uncover many relations in the music that the analytical literature has by and large overlooked. This applies specifically to Bruckner’s choices of key areas within sonata form; thus, a main goal of this study is to address Bruckner’s sonata-form design in rather strict Schenkerian terms. In the process, however, we must take care to avoid a dangerous aspect of Schenker’s thought: his equation of a work’s tonality with its quality. For him, as is well known, a piece that was not tonal was bad, and Schenker used his analytic method variously as a pedestal to valorize some works and as a cudgel to denigrate others. In fact, it was a favorite strategy of nineteenth-century critics to shore up value judgments, both positive and negative, with music theory as a bracing. I strongly believe that it is important to study the music one loves, and musicians should not be ashamed to use analysis to express their admiration. But I do not think that music theory should ever be weaponized; and furthermore, too tight a link between theory and criticism risks damaging the accuracy of both. Thus I believe that theoretical claims should stand on their own. I ask the reader to understand that when I engage with the assessments of Bruckner’s critics (Schenker among them), I try to do so based on the theoretical substance of their claims, decoupled from their nineteenth-century aesthetic baggage. [2.1] Bruckner’s sonata-form movements will serve as our window into these questions of tonality, and so let us consider his approach to form in more detail. (8) We are all undoubtedly familiar with the experience of mistaking a so-called transition theme for the “real” second theme in sonata movements by Haydn, Mozart, or Beethoven. These composers, and countless others, seem to enjoy a certain amount of compositional sleight of hand as to formal design—not to mention that they surely did not rely so heavily on these rigid demarcations as we do. However, such moments are exceedingly rare in Bruckner; often one finds oneself asking, “What key is this theme in?,” but never, “What is the theme?” As a result, Bruckner perhaps calls for less subtlety in this regard than other composers. [2.3] But because this “hint of stiffness or formality” (Korstvedt 2004, 173) is deployed in so wide-ranging a chromatic environment, the opposite critique has also arisen, that of an assortment of “tonal shapes willfully strung one after another.”(10) Such claims about Bruckner’s bungled approach to form naturally bleed into a general gainsaying of his harmonic practice and organization that was first articulated by Eduard Hanslick: “It remains a psychological puzzle how this gentlest and most peaceable of all men . . . becomes, in the act of composition, an anarchist who pitilessly sacrifices everything that is called logic and clarity of development and structural and tonal unity” (quoted in Howie 2002, 444). (11) These views have in turn influenced theoretical spheres, where it has become an important goal to reconcile Bruckner’s cut-and-dried thematic sections with their allegedly meaningless keys areas (Horton 2004b, 96). I must stress again that in doing so we keep the critics’ observations about Bruckner’s music separate from the aesthetic scorn with which they were originally freighted, confronting only the theoretical questions they raise. [2.5] I find myself skeptical about several of these principles, as they appear in the writings of Darcy and the century of critics that preceded him. In particular, I wonder whether Bruckner’s second themes are arrayed in truly non-traditional keys, and whether they are best felt as “alienated” and “wrong” in comparison to the eventual ascendance of the expected (or “right”) key. Despite my reservations, Darcy’s arguments lie at the very nexus of form and tonality. As such, he has provided us with excellent points for consideration, which I will address below. To what extent is Bruckner’s treatment of key in sonata form “along the traditional lines of sonata discourse?” (Darcy 1997, 274). Are Bruckner’s second themes tonally alienated from the overall harmonic design of the sonata form? In other words, are they in the “wrong” key? I hope to show that Bruckner’s treatment of sonata form is a natural continuation of earlier approaches; and that despite a tangle of harmonic complexity on the surface, a robust and coherent underlying harmonic structure supports the general form. [2.7] The corpus of Bruckner sonata forms that I will examine excludes all of the student works (such as the Study Symphony), as well as the String Quintet and the finale of the Ninth Symphony (which I will comment on only in passing). Although the latter is far more complete than is generally assumed, it is not widely available. I also exclude the Symphony in D minor (“Die Nullte”), the First and Second Symphonies, and the first movement of the Third Symphony. In these, Bruckner follows the so-called traditional sonata paradigm as we might expect: all three symphonies are in minor and the second themes are all in the mediant. What remains are the mature, complete, symphonic sonata-form movements featured in Example 1. Here I list the tonic of each movement, the key of the second theme, and the point at which the structural dominant arrives. For the purposes of this essay, I restrict my discussion to the exposition, except in those cases where the dominant arrives in the development. [3.1] I will start by touching briefly on the first question: Are Bruckner’s key choices “traditional”? We must first compare the symphonies with earlier music, both from a formal perspective (to determine the limits of mid-nineteenth-century sonata practice) and from a Schenkerian perspective (because I argue that this music uses strictly tonal voice leading to compose out middleground harmonies). In Example 2a, every sonata-form movement of Bruckner’s is shown to have a precedent in terms of its key scheme; of course, the voice leading differs widely from case to case, but there is something to be said for examining a work’s key design in broad strokes. From these analogies, I think we can conclude that Bruckner’s key choices are at least no great departure from the nineteenth-century practice of Beethoven, Schubert, Mendelssohn, Chopin, and Brahms. (15) In order to show that Bruckner’s harmonies behave in ways that Schenker considered tonal, I have included in Example 2b a list of references to figures in Der freie Satz ( 1979). A look at these figures will reveal that my graphs (in Examples 3 through 6 and the Appendix) contain nothing more progressive than may be seen in Schenker’s own examples, some of which are quite extravagant. These comparisons also shed light on a further consequence of Bruckner’s non-canonic status: a double standard that treats, say, a Mendelssohn as conservative, but a Bruckner as avant-garde. The similarities in harmonic and formal procedure between Bruckner and composers whose music resides firmly within the analytic canon should cause us to question the basis on which that canon rests and the wisdom of its rigid boundaries. At the very least, I hope Example 2 will serve to substantiate my claim that Bruckner should not be considered a modernist when very little that he does is without some precedent. [3.2] So are Bruckner’s sonata-form movements traditional? Largely. Are they textbook? No. But it is hardly reasonable to always expect textbook devices in symphonies written in the late nineteenth century, not to mention that the Formenlehre textbook itself was even then still developing. (16) Updates to Sonata Theory, particularly the advent of dialogic form, have mitigated this problem; but I believe that any approach that centers around forms and deformations thereof puts the emphasis in the wrong place. Rather than merely asking, “What is the key scheme of the movement?,” I think it is more productive to examine how the keys a composer visits contribute to the overall logic of each particular symphony. Schenkerian analysis—the use of which is entirely appropriate owing to Bruckner’s more or less conventional voice leading—will prove instructive in evaluating the sui generis logic of the movements under consideration. Therefore, I will now move to our second guiding question: Are Bruckner’s second themes in the “wrong” key? I will show that, according to Bruckner’s own unique symphonic logic, his choices are very “right,” indeed almost inevitable in their own way, in terms of both form and tonal structure. [4.1] Returning to Example 1, note that I have not grouped movements by what symphony they belong to, nor by their mode. For indeed, these groupings shed no light on Bruckner’s key choices. Rather, the governing principle behind the key structure of Bruckner’s mature sonata forms proves to be position within the symphony. First movements express the key scheme I–V, finales for the most part I–III–V. (17) (Our only sonata-form slow movement passes through an entirely different key on its way to the dominant.) There are exceptions, most of which I will return to;(18) but the evidence shows a distinct difference in key schemes between Bruckner’s opening and closing movements. (19) As far as I am aware, this pattern has never been mentioned in the scholarly literature. (20) I should stress that this is somewhat of an idiosyncratic procedure, for normally key areas within a sonata form are determined by the mode of the tonic, regardless of the numeral that appears over the first page of each movement in the score. But it is not unusual to find a formal paradigm that applies to one type of movement but not to another. The sonata-rondo as finale is a ready example. In the case of Bruckner’s key schemes, I do not view this difference between opening and closing movements as a formal aberration. Rather it represents a formal reification of two aspects in particular of Bruckner’s symphonic writing: first, a considerable degree of modal mixture in the middleground and, second, a deep sensitivity to concerns of large-scale symphonic pacing. [4.2] It is well known that Bruckner’s music is chromatic. But I contend that this quality is best understood as a complete chromatic saturation of the tonic diatony, and that part of the explanation behind Bruckner’s key designs lies in the fact that he constantly found ways to incorporate mixture into the middleground. The integrity of chromatic events to Bruckner’s structural conception comes across with particular clarity at the beginning of the finale of the Eighth Symphony. The piece is in C minor, but this movement starts in G as a flatted 5ˆ, one of the least likely chromatic notes in the key. Example 3 follows the opening passage of the movement as it traverses the various structural layers from middleground to surface. Figure A posits that the off-tonic opening derives in the middleground from a simple tonic arpeggiation in the bass and a fourth progression in the top voice. On the next layer, Figure B, note how the opening G begins to come under the influence of the mediant E rather than the tonic; Figure C features the first chromatic event: mixture at the third in E major. I have included Figure C’ to show that this chromatic shift is motivated by the key of the slow movement, D major; the passage in question serves as a transition to reestablish C minor as tonic. In Figure D, a connective motion in the bass is rhythmically displaced from the top voice, and Figure E demonstrates how each of these contrapuntally generated harmonies becomes a local key center (through the process of casting out the root), forming a sequence of downward fourths. [4.3] Let us now examine the passage’s foreground chromaticism. Figures F through J focus on the composing-out of the initial G , which, following Bruckner, I notate as F for convenience. (21) The second chromatic event of the passage involves the middleground G /F major becoming minor in the foreground; thus Figure F shows that it is a D (and not D ) that prolongs C melodically, and Figure G has the same D prolonging F harmonically. Figures H through J show the contrapuntal elaboration of this idea. However, Bruckner makes one additional chromatic alteration before the surface: the F minor at the start of the phrase becomes major at the end, yielding the chromaticized versions given in Figures F’ through J’. It goes without saying that the hypothetical diatonic version of Figure K is far inferior to Figure K’, what Bruckner actually wrote! [4.4] From these opening measures, we can see how Bruckner keeps a watchful eye on his deployment of middleground chromaticism for formal reasons. In this case he forges a connection between the third and fourth movements—weakening a formal boundary by building a bridge across it. Bruckner also used large-scale mixture to solidify formal boundaries; and one way he differentiated between movements structurally was by choosing key schemes that treat first movements as if they were in major, and finales as if in minor. Not only does this build a formal parameter that acts across the span of the symphony, but it also creates a seamless impulse of chromaticism through the structural layers, sown in the middleground and brought to fruition in the foreground. [4.6] Viewed this way, what might be a renegade harmonic stance in a five-minute piece—the famously problematic Mozart Minuet in D, K. 355 comes to mind (see Oster 1966, 34)—could be contextualized and mitigated into a more normal position when surrounded by more music, thus allowing longer music to have more thoroughly integrated chromatic events. I believe that this principle is crucial for understanding Bruckner’s symphonies: their second themes, though framed in highly chromatic keys in the finales, are made tonally acceptable by the vast temporal space Bruckner affords them. By the same token, their tremendous length can be understood to call for a greater degree of chromatic saturation. [4.7] Equally important to Bruckner’s formal choices is the difference in scale between first movements and finales. It goes without saying that symphonic finales traditionally have brisker tempos and more rhythmically driven themes than their opening counterparts, to project a certain forward-driving dynamism. Usually finales are shorter as well. But Bruckner follows the trend epitomized by Beethoven’s later works—like the Ninth Symphony and B Quartet, Op. 130—of weighting a piece towards the finale. Thus, Bruckner’s last movements are sometimes just as long as or longer than the first. Perhaps realizing that a fast tempo alone did not provide enough energy to propel such lengthy finales, he found another way: the I–III–V paradigm in finales, where I–III–V could be viewed as a more dramatic and sweeping gesture than I–V. From this perspective, III is not a “suspension field,” but in fact a powerful waypoint en route to a dominant that is in turn strengthened by its delay. Critics of Bruckner often complain of lackluster or aimless finales. (25) While I do not join in this opinion, I would encourage anyone who does to imagine Bruckner finales rewritten so that their second themes were in the dominant. [4.8] We have yet to examine the issue from a truly Schenkerian perspective; but from a formal one, I hope to have shown so far that Bruckner’s second theme key choices are not random and that the lyric material of a movement is never in the “wrong” key—indeed I view these choices as necessary to an organic structure. The fact that Bruckner used middleground chromaticism as a formal parameter to differentiate first movements from finales reveals that the keys of his second themes are neither otiose, nor wholly unpredictable. [5.1] Up to this point, I have focused my discussion of sonata form around Bruckner’s “key schemes”: a blunt term referring to a succession of Roman numerals that indeed may have no structural significance. But from a Schenkerian stance, we cannot really determine the “foreign-ness” or “wrongness” of a given key choice until we have seen how it is incorporated into the voice-leading approach to the structural dominant (which is after all the goal of the first half of Schenker’s sonata form). And so I argue that these “key schemes” are instead better viewed as “key profiles”: a dynamic interaction of structural keys pressed into service by the voice leading that heralds the advent of the dominant. (26) As I noted before, Bruckner’s first movements go directly to the dominant, and thus do not require further comment, so now let us turn our attention to the finales. [5.4] For this reason, I find it misleading to speak of the “isolation” or “wrongness” of Bruckner’s second themes. Indeed, their “rightness,” it seems to me, resides primarily in the variegated trajectories they enable Bruckner to create across his finale expositions: he introduces the second theme in a single monolithic stroke, but then allows the lyric material of the second group to wend its way little by little towards the third theme’s climactic dominant. Certainly the onset of the second theme’s “foreign” key can astonish the ear. The gap that leads into it, usually falling by a major third, might sound more like a chasm, and indeed the sheer novelty of the key might seem the perfect metaphor for remoteness. But I urge that we keep this sort of “in-the-moment” hearing in its proper place. For although these impressions surely exist, so too, in Bruckner’s mature music, exists the feeling that in a deeper sense we are being guided by the reliable hand of a sensitive craftsman. Thus the second key starts us on a journey towards a goal—the dominant—and the remoteness of its key generates voice-leading content, as I have argued above. When we listen to one of Bruckner’s second themes, then, it is important that we not become fixated on its exotic key, but rather that we also try to hear to the end of the tonal motion it initiates. Furthermore, while I would not disagree that their lyric characters often contrast markedly with the preceding material (and appreciate the attendant semiotic ramifications), these qualities should not be conflated with the themes’ tonal deployment. In other words, though these elements might display a sort of “expressive alienation,” I would refrain from singling them out through the theoretical concept of “tonal alienation,” once again because Bruckner integrates them completely into the voice leading. [5.5] With these key profiles, we are examining how the dominant is approached through Bruckner’s voice leading, and as I mentioned above, this is indispensable for any Schenkerian treatment of the symphonies. But we have not yet shaken off Schenker’s claim that Bruckner’s themes do not add up, that although the voice leading may ‘check out,’ we nevertheless still have a “potpourri of exaltations” on our hands. To address this claim, we must delve deeper into a single movement and show the voice leading to be no mere coincidence, but rather a consequence of some more elemental thematic unity. We should be able to find fingerprints of this ‘intelligent design’ in a profound resonance between structural layers that shows the evolution of an idea as it passes through various stages of realization. [5.7] Perhaps even more interesting, however, is the origin of the upper voice G . Layers 1 through 3 of Example 5 show that the central middleground motive of the piece is a chromatic passing tone between 3ˆ and 2ˆ; in the exposition and recapitulation it is a descending step, in the development an ascending one. Bruckner does not let this idea lie fallow harmonically, but gives the A /G passing tone all three of its possible harmonizations as root, third, and fifth over the course of the movement. Nor is the motive absent from the surface (these spots are marked in the foreground sketches of Example 6). [5.8] The other two harmonizations of A (as root of A major and as fifth of D major) come in the development, which notably does not contain a structural dominant. Rather the development comprises an arpeggiation of the minor tonic, representing a composed-out V-to-I motion. As in quite a large number of Bruckner movements, this Adagio has what might be called a harmonic idée fixe: motion to the key of the submediant, D major. The note D plays a very important role in the first theme, for it is instrumental in tonicizing the minor subdominant, B minor, in the second measure. The development is occupied with two big motions from A —the key of the third theme and the structural mediant of the development’s tonic arpeggiation, to D —which ultimately sequences up to B minor (again reminiscent of the opening two measures). The recapitulation makes three more of these gestures to D , and the coda repeats the process once more. Most of these moves to D occur at climactic points within the piece. [6.1] I return now to the subject of Bruckner’s tonality, with which I began. I wonder whether the dizzying effect of some nineteenth-century chromaticism has clouded our thinking as to its purpose. Specifically, I suspect that the role of chromaticism at the outer limits of tonal practice has been subject to some misapprehension owing to our belief that chromaticism serves to undercut a tonic’s strength (that is, the degree to which a tonic is heard to exert its control over non-tonic events). And perhaps we have been unduly concerned with what a tonic is rather than what it does: the tonal work of establishing proxies through which the tonic itself can act. I raise these as questions that seem to follow from my discussion of Bruckner’s chromatic key profiles, but to which I can only suggest the answers. However, because of their central and provocative nature, I think them worth exploring. [6.2] It is generally assumed that the more obviously a tonic presents itself, the more recognizable its control, the stronger that tonic is. From this vantage point, Mozart’s tonic is indisputably stronger than Bruckner’s, for with Mozart the tonic’s governing status is rarely cast into doubt and no other keys ever present themselves as serious pretenders to its title. These little-challenged tonics do not need to do much tonal work to harness the musical elements around them; indeed the actions they do undertake are performed transparently and with ease. [6.4] There is no element that poses so great a threat to a tonic’s hegemony as chromaticism, which endangers the fulfillment of the tonic’s principal goal: to present the fullest possible expression of its diatony (that is, to compose itself out). For this reason, the composer of tonal music must handle chromatic elements with surpassing care, lest they overwhelm the tonic itself. Brahms’s student Gustav Jenner articulated his teacher’s thoughts on the matter beautifully: “the main point [for Brahms] was to express fully the primary key and to reveal its control over secondary keys through clear relationships. In this way, so to speak, the sum of all the keys employed in a piece appeared like an image of the primary key in a state of activity” (quoted in Schachter 1987, 299). According to Schenker, if chromatic keys (more properly, tonicized Stufen that undergo mixture) are used in this fundamentally supportive way and are not allowed “in any way [to] cancel the main key, we must obviously welcome them as an enormous increasing of compositional means, designed to enhance the effect of the diatonic system” ( 1954, 298). Indeed, as I have argued above, Bruckner’s chromaticism should be regarded as a vital generator of content. But the chromaticism’s tonal benefits—of allowing for a richer expression of the diatony—would be for naught if the overall tonic itself were not strong enough to withstand it. It would seem to follow, then, that a tonic is strongest when it permits, directs, and fully encompasses a wide range of chromatically mixed elements—with the caveat that these chromatic elements ultimately subordinate themselves to the tonic in order to reinforce it. 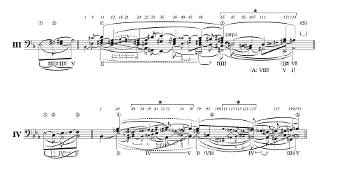 Thus Schenker’s proclamation: “the artist can never write too chromatically, in so far as it is his intention to illuminate and clarify the diatonic relations by chromatic contrasts” ( 1954, 298–99). [6.5] Should we accept it, this principle would call into question an oft-repeated narrative of tonality’s decline and fall. The traditional story (recall the words of Henry Raynor, which began this article) claims that the tonality of the eighteenth and early nineteenth centuries underwent increasingly concerted assaults from such composers as Wagner, Bruckner, Mahler, and Schoenberg (although the earliest to loosen somewhat the strictures of tonality was perhaps Schubert); and that, despite its continued cultivation in the late works of Brahms (although in a decidedly elliptical form), classical tonality did not survive long into the twentieth century. Under this view, the process that defeated tonality was one of dissolution, of attenuation, of fizzling out. The operative idea is that intrinsically foreign elements, like chromaticism, chipped away at tonality until only its shards remained. [6.6] This story views the least challenged tonic as strongest, and essentially assumes that chromaticism can only serve to weaken a tonic’s pull. On the contrary, Schenker’s dictum, “the artist can never write too chromatically,” implies that tonality in fact became stronger throughout the nineteenth century, since its influx of chromaticism generally allowed composers to wield more powerful tonics, with the opportunity to integrate a far wider array of chromatic impulses. Thus, if we are to understand chromaticism in this way, the governing metaphor for the end of tonality would not be one of attenuation, but instead one of excess—think of the breaching of a dam or an immense structure collapsing under its own weight. As more was added to tonality’s edifice, the harder it became for even the firmest of tonics to sustain. Eventually, at some presumed tipping point, tonality finally gave way like an over-tall tower of blocks; and, as the nineteenth century grew more distant, it became increasingly difficult to discern from tonality’s scattered remnants the order in which they once stood. Of course, there was not a sole, singular moment in which tonality was summarily wiped from the map: rather a steady stream of “tonal ruptures” in the music of composers who were discovering new ways to create voice-leading content. (38) The eventual aggregate of these developments became the ‘straw that broke the camel’s back.’ I hasten to add, contra Schenker, that this must not be construed negatively. [6.7] Note that the conception of tonality posited here holds, rather paradoxically, that the strongest tonic may well be nearly imperceptible at times—when it makes its presence known only at the very deepest removes of tonal hierarchy—because a tonic’s strength is not necessarily related to how obviously or how often it is presented on the music’s surface. Such a claim might seem curious, if not outright suspect, and a far cry from the common wisdom that Mozart’s tonics should be stronger than Bruckner’s because they are more keenly perceived. But even if we do accept this conception for the chromatic practice of Beethoven and Chopin, can we reasonably apply it to the music of Bruckner, whose rampant chromaticism has led over a century’s worth of commentators (both music critics and music theorists) to deny strenuously that it obeys the precepts of monotonality? More precisely, the question is: Do Bruckner’s chromatics reinforce the tonic, or do they defeat it? While the success of Bruckner’s chromaticism (which so deeply occupied his critics) must remain entirely subjective, I believe we can productively assess its purpose. [6.8] The proof that Bruckner presses his chromaticism into the service of the tonic has been the principal subject matter of this essay. Recall in particular his second themes; far from deflecting the tonic’s motion towards the dominant, these themes use their chromatic content to sculpt a sinewy trajectory. Their beginnings firmly present themselves as a waypoint along this path, and the ensuing voice leading is—like Brahms’s—robust and goal-directed: successor to Mozart’s most artful transitions and Schubert’s three-key practice. [6.10] To be sure, Bruckner does not give us the patent tonality of earlier composers—often the sensation of harmonic grounding is fleeting. But it is there, and so his method should not be regarded as a departure from earlier Romantic techniques, but an extension of them. In fact, I have suggested that Bruckner’s tonality is stronger for being able to organically subordinate such disparate and mixed harmonic elements. As such, I find Schenker’s methods particularly well-suited to analyze Bruckner’s music precisely because they allow us to delineate both the basic tonal foundation of a piece and the intricate harmonic fabric that elaborates it. Beach, David. 1983. “A Recurring Pattern in Mozart’s Music.” Journal of Music Theory 27 (1): 1–29. Benjamin, William E. 1996. “Tonal Dualism in Bruckner’s Eighth Symphony.” In The Second Practice of Nineteenth-Century Tonality, edited by William Kinderman and Harald Krebs, 237–58. Nebraska University Press. Betson, Nicholas. 2012. “Bruckner’s Formal Principle as Beyond the Sonata Principle.” Paper presented at the annual meeting of the Society for Music Theory, New Orleans. Burstein, L. Poundie. 1998. “Surprising Returns: The VII in Beethoven’s Op. 18 No. 3, and its Antecedents in Haydn.” Music Analysis 17 (3): 295–312. Burstein, L. Poundie. 2005. “Unraveling Schenker’s Concept of the Auxiliary Cadence.” Music Theory Spectrum 27 (2): 159–86. —————. 2005. “Unraveling Schenker’s Concept of the Auxiliary Cadence.” Music Theory Spectrum 27 (2): 159–86. Dahlhaus, Carl. 1980. “Issues in Composition,” translated by Mary & Arnold Whittall. In Between Romanticism and Modernism: Four Studies in the Music of the Later Nineteenth Century, 40–78. University of California Press. Darcy, Warren. 1997. “Bruckner’s Sonata Deformations.” In Bruckner Studies, edited by Timothy L. Jackson and Paul Hawkshaw, 256–77. Cambridge University Press. Drabkin, William. 2011. “Heinrich Schenker und die Symphonien Anton Bruckners.” In Johannes Brahms und Anton Bruckner im Spiegel der Musiktheorie: Bericht über das Internationale Symposium St. Florian 2008, edited by Christoph Hust, 45–55. Hainholz Verlag. Federhofer, Hellmut. 1982. “Heinrich Schenkers Bruckner-Verständnis.” Archiv für Musikwissenschaft 39 (3): 198–217. Federhofer, Hellmut. 1990. Heinrich Schenker als Essayist und Kritiker. Olms Verlag. —————. 1990. Heinrich Schenker als Essayist und Kritiker. Olms Verlag. Gault, Dermot. 2011. The New Bruckner. Ashgate Publishing. Grant, Aaron. Forthcoming. “Schubert’s Three-Key Expositions.” Ph.D. diss., University of Rochester. Hepokoski, James and Warren Darcy. 2006. Elements of Sonata Theory: Norms, Types, and Deformations in the Late-Eighteenth-Century Sonata. Oxford University Press. Hooper, Jason. 2011. “Heinrich Schenker’s Early Conception of Form, 1895–1914.” Theory and Practice 36: 35–64. Horton, Julian. 2004a. “Recent Developments in Bruckner Scholarship.” Music and Letters 85 (1): 83–94. Horton, Julian. 2004b. Bruckner’s Symphonies: Analysis, Reception and Cultural Politics. Cambridge University Press. —————. 2004b. Bruckner’s Symphonies: Analysis, Reception and Cultural Politics. Cambridge University Press. Horton, Julian. 2005. “Bruckner’s Symphonies and Sonata Deformation Theory.” Journal of the Society for Musicology in Ireland 1: 5–17. —————. 2005. “Bruckner’s Symphonies and Sonata Deformation Theory.” Journal of the Society for Musicology in Ireland 1: 5–17. Howie, Crawford. 2002. Anton Bruckner: A Documentary Biography, Vol. II: Trial, Tribulation, and Triumph in Vienna. The Edwin Mellon Press. Hunt, Graham. 2009. “The Three-Key Trimodular Block and Its Classical Precedents: Sonata Expositions of Schubert and Brahms.” Intégral 23: 65–119. Jackson, Timothy L. 1997. “The Finale of Bruckner’s Seventh Symphony and the Tragic Reversed Sonata Form.” In Bruckner Studies, edited by Timothy L. Jackson and Paul Hawkshaw, 140–208. Cambridge University Press. Jackson, Timothy L. 2001. “The Adagio of the Sixth Symphony and the Anticipatory Tonic Recapitulation in Bruckner, Brahms and Dvořák.” In Perspectives on Anton Bruckner, edited by Crawford Howie, Paul Hawkshaw, and Timothy Jackson, 206–27. Ashgate Publishing. —————. 2001. “The Adagio of the Sixth Symphony and the Anticipatory Tonic Recapitulation in Bruckner, Brahms and Dvořák.” In Perspectives on Anton Bruckner, edited by Crawford Howie, Paul Hawkshaw, and Timothy Jackson, 206–27. Ashgate Publishing. Jonas, Oswald. 1989. “Heinrich Schenker: Über Anton Bruckner.” Der Dreiklang: Monatsschrift für Musik 7; reprinted, Olms Verlag: 166–76. [Jonas, Oswald and Felix Salzer]. 1989. “Der Nachlaß Heinrich Schenkers.” Der Dreiklang: Monatsschrift für Musik 1; reprinted, Olms Verlag: 17–22. Kessler, Deborah. 2006. “Motive and Motivation in Schubert’s Three-Key Expositions.” In Structure and Meaning in Tonal Music: Festschrift in Honor of Carl Schachter, edited by L. Poundie Burstein and David Gagné, 259–76. Pendragon Press. Korstvedt, Benjamin M. 2000. Bruckner: Symphony No. 8. Cambridge University Press. Korstvedt, Benjamin M. 2001. “‘Harmonic Daring’ and Symphonic Design in the Sixth Symphony: An Essay in Historical Musical Analysis.” In Perspectives on Anton Bruckner, edited by Crawford Howie, Paul Hawkshaw, and Timothy Jackson, 185–205. Ashgate Publishing. —————. 2001. “‘Harmonic Daring’ and Symphonic Design in the Sixth Symphony: An Essay in Historical Musical Analysis.” In Perspectives on Anton Bruckner, edited by Crawford Howie, Paul Hawkshaw, and Timothy Jackson, 185–205. Ashgate Publishing. Korstvedt, Benjamin M. 2004. “Between Formlessness and Formality: Aspects of Bruckner’s Approach to Symphonic Form.” In The Cambridge Companion to Bruckner, edited by John Williamson, 170–89. Cambridge University Press. —————. 2004. “Between Formlessness and Formality: Aspects of Bruckner’s Approach to Symphonic Form.” In The Cambridge Companion to Bruckner, edited by John Williamson, 170–89. Cambridge University Press. Kosseff-Jones, Ryan. 2017. “Mahlerian Tonality: Challenges to Classical Foreground Structures in the Music of Gustav Mahler.” Ph.D. diss., City University of New York. Kraus, Joseph C. 1997. “Phrase Rhythm in Bruckner’s Early Orchestral Scherzi.” In Bruckner Studies, edited by Timothy L. Jackson and Paul Hawkshaw, 278–97. Cambridge University Press. Kraus, Joseph C. 2001. “Musical Time in the Eighth Symphony.” In Perspectives on Anton Bruckner, edited by Crawford Howie, Paul Hawkshaw, and Timothy Jackson, 259–69. Ashgate Publishing. —————. 2001. “Musical Time in the Eighth Symphony.” In Perspectives on Anton Bruckner, edited by Crawford Howie, Paul Hawkshaw, and Timothy Jackson, 259–69. Ashgate Publishing. Kurth, Ernst. 1991. Bruckner, vol. 1. Hesse Verlag. Part 2, Ch. 2 (“Die symphonische Welle”) edited and translated by Lee Rothfarb as Chs. 6 (“Bruckner’s Form as Undulatory Phases”) and 7 (“Details of Bruckner’s Symphonic Waves”) in Ernst Kurth: Selected Writings, 151–87 and 188–207. Cambridge University Press. Laufer, Edward. 1997. “Some Aspects of Prolongation Procedures in the Ninth Symphony (Scherzo and Adagio).” In Bruckner Studies, edited by Timothy L. Jackson and Paul Hawkshaw, 209–55. Cambridge University Press. —————. 1997. “Some Aspects of Prolongation Procedures in the Ninth Symphony (Scherzo and Adagio).” In Bruckner Studies, edited by Timothy L. Jackson and Paul Hawkshaw, 209–55. Cambridge University Press. Laufer, Edward. 2001. “Continuity in the Fourth Symphony (First Movement).” In Perspectives on Anton Bruckner, edited by Crawford Howie, Paul Hawkshaw, and Timothy Jackson, 114–44. Ashgate Publishing. —————. 2001. “Continuity in the Fourth Symphony (First Movement).” In Perspectives on Anton Bruckner, edited by Crawford Howie, Paul Hawkshaw, and Timothy Jackson, 114–44. Ashgate Publishing. Lindberg, Kai. 2003. “Anton Bruckner: The Finale of the Fourth Symphony (1889 Version).” In A Composition as a Problem III: Proceedings of the Third International Conference on Music Theory, Tallinn, March 9–10, 2001, edited by Mart Humal, 52–63. Scripta Musicalia. Lindberg, Kai. 2014. “Aspects of Form and Voice-Leading Structure in the First Movements of Anton Bruckner’s Symphonies Nos. 1, 2, and 3.” Ph.D. diss., University of the Arts Helsinki. —————. 2014. “Aspects of Form and Voice-Leading Structure in the First Movements of Anton Bruckner’s Symphonies Nos. 1, 2, and 3.” Ph.D. diss., University of the Arts Helsinki. Oster, Ernst. 1966. “Mozart, Menuetto K.V. 355: A Schenkerian View.” Journal for Music Theory 10 (1): 32–52. Phillips, John A. (ed.). 1999. Bruckner Sämtliche Werke B, Band IX/4: IX. Symphonie d-Moll, Finale (Unvollendet), Dokumentation des Fragments. Musikwissenschaftlicher Verlag der Internationalen Bruckner-Gesellschaft Wien. Phillips, John A. 2001. “The Facts behind a ‘Legend’: The Ninth Symphony and the Te Deum.” In Perspectives on Anton Bruckner, edited by Crawford Howie, Paul Hawkshaw, and Timothy Jackson, 270–81. Ashgate Publishing. —————. 2001. “The Facts behind a ‘Legend’: The Ninth Symphony and the Te Deum.” In Perspectives on Anton Bruckner, edited by Crawford Howie, Paul Hawkshaw, and Timothy Jackson, 270–81. Ashgate Publishing. Pomeroy, Boyd. 2011a. “Bruckner and the Art of Tonic Estrangement: The First Movement of the Seventh Symphony.” In Johannes Brahms und Anton Bruckner im Spiegel der Musiktheorie: Bericht über das Internationale Symposium St. Florian 2008, edited by Christoph Hust, 147–75. Hainholz Verlag. Pomeroy, Boyd. 2011b. “The Major Dominant in Minor-Mode Sonata Forms: Compositional Challenges, Complications, and Effects.” Journal of Schenkerian Studies 5: 59–103. —————. 2011b. 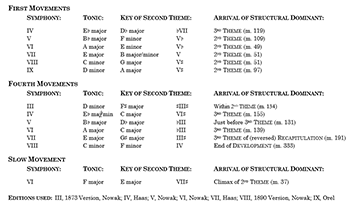 “The Major Dominant in Minor-Mode Sonata Forms: Compositional Challenges, Complications, and Effects.” Journal of Schenkerian Studies 5: 59–103. Puffett, Derrick. 1999. “Bruckner’s Way: The Adagio of the Ninth Symphony,” edited by Kathryn Bailey and William Drabkin. 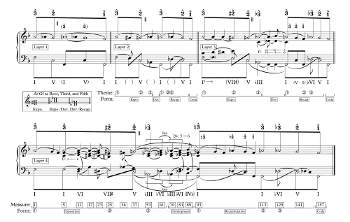 Music Analysis 18 (1): 5–99. Ramirez, Miguel. 2013. “Chromatic-Third Relations in the Music of Bruckner: A Neo-Riemannian Perspective.” Music Analysis 32 (2): 155–209. Raynor, Henry. 1955. “An Approach to Anton Bruckner.” The Musical Times 96 (2): 70–74. Röder, Thomas. 2001. “Master and Disciple United: The 1889 Finale of the Third Symphony.” In Perspectives on Anton Bruckner, edited by Crawford Howie, Paul Hawkshaw, and Timothy Jackson, 93–113. Ashgate Publishing. Rothstein, William. 2016. Review of Piano Sonata in E Major Op. 109. Beethoven’s Last Piano Sonatas: An Edition with Elucidation by Heinrich Schenker, translated, edited, and annotated John Rothgeb; Piano Sonata in Major Op. 110. Beethoven’s Last Piano Sonatas: An Edition with Elucidation by Heinrich Schenker, translated, edited, and annotated by John Rothgeb; Piano Sonata in C Minor Op. 111. Beethoven’s Last Piano Sonatas: An Edition with Elucidation by Heinrich Schenker, translated, edited, and annotated by John Rothgeb; Piano Sonata in A Major Op. 101. Beethoven’s Last Piano Sonatas: An Edition with Elucidation by Heinrich Schenker, translated, edited, and annotated by John Rothgeb. Music and Letters 97 (4): 661–63. Schachter, Carl. 1983. “The First Movement of Brahms’s Second Symphony: The Opening Theme and Its Consequences.” Music Analysis 2 (1): 55–68. Schachter, Carl. 1987. 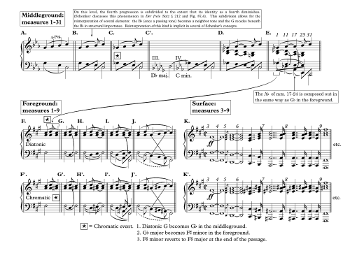 “Analysis by Key: Another Look at Modulation.” Music Analysis 6 (3): 289–318. —————. 1987. “Analysis by Key: Another Look at Modulation.” Music Analysis 6 (3): 289–318. Schenker, Heinrich. (1905–1909) 2005. “Über den Niedergang der Kompositionskunst: eine technisch-kritische Untersuchung.” Unpublished. Edited and translated by William Drabkin as “The Decline of the Art of Composition: A Technical-Critical Study.” Music Analysis 24 (1–2): 33–232. Schenker, Heinrich. 1954. Harmonielehre. J.G. Cotta Verlag. Edited by Oswald Jonas and translated by Elisabeth Mann Borgese as Harmony. University of Chicago Press. —————. 1954. Harmonielehre. J.G. Cotta Verlag. Edited by Oswald Jonas and translated by Elisabeth Mann Borgese as Harmony. University of Chicago Press. Schenker, Heinrich. 1918–1919. “Lessonbook: [Hans] Weisse: 1918/19.” Oster Collection 3/3. Transcribed by Robert Kosovsky and translated by Sigrun Heinzelmann. In Schenker Documents Online, edited by Ian Bent and William Drabkin. —————. 1918–1919. “Lessonbook: [Hans] Weisse: 1918/19.” Oster Collection 3/3. Transcribed by Robert Kosovsky and translated by Sigrun Heinzelmann. In Schenker Documents Online, edited by Ian Bent and William Drabkin. Schenker, Heinrich. 1997. “Beethovens Dritte Sinfonie zum erstenmal in ihrem wahren Inhalt dargestellt.” In Das Meisterwerk in der Musik III. Drei Masken Verlag, 29–101. Translated by Derrick Puffett and Alfred Clayton as “Beethoven’s Third Symphony: Its True Content Described for the First Time.” In The Masterwork in Music III, edited by William Drabkin, 10–68 and 80–115. Cambridge University Press. —————. 1997. “Beethovens Dritte Sinfonie zum erstenmal in ihrem wahren Inhalt dargestellt.” In Das Meisterwerk in der Musik III. Drei Masken Verlag, 29–101. Translated by Derrick Puffett and Alfred Clayton as “Beethoven’s Third Symphony: Its True Content Described for the First Time.” In The Masterwork in Music III, edited by William Drabkin, 10–68 and 80–115. Cambridge University Press. Schenker, Heinrich. 1979. Der freie Satz. Universal Edition. Translated and edited by Ernst Oster as Free Composition. Longman Press. —————. 1979. Der freie Satz. Universal Edition. Translated and edited by Ernst Oster as Free Composition. Longman Press. Swinden, Kevin. 2004. “Bruckner and Harmony.” In The Cambridge Companion to Bruckner, edited by John Williamson, 205–28. Cambridge University Press. Tovey, Donald Francis. 1935. Essays in Music Analysis, vol. 2: Symphonies, Variations and Orchestral Polyphony. Oxford University Press. Venegas, Gabriel. 2017. “Anton Bruckner’s Slow Movements: Dialogic Perspectives.” Paper presented at the annual meeting of the Society for Music Theory, Arlington. Webster, James. 1978. “Schubert’s Sonata Form and Brahms’s First Maturity.” 19th-Century Music 2 (1): 18–35. Weiss, Herman Robert. 1988. “Cadencing and Voice Leading in Bruckner’s Ninth Symphony.” Ph.D. diss., Brandeis University. Zuckerkandl, Victor. 1959. The Sense of Music. Princeton University Press. * I am exceedingly grateful to Robert Cuckson and William Rothstein for refining my ideas about Bruckner; to Hedi Siegel, David Loeb, Poundie Burstein, Joseph Straus, and Carl Schachter for helping me to communicate them; and to Christina Lee, Yuval Shapira, Timothy Mastic, Nicholas Betson, and Megan Lavengood for informal discussions of difficult issues. Jeffrey Hodes helped me write code to digitize my musical examples. Earlier versions of this article were read in 2013 at the Mannes in-house symposium (Papier-Mâché) and in 2014 at the Third Graduate Student Conference at Mannes College, the Annual Research Symposium at Indiana University, Approaches to Analysis and Interpretation at the Cincinnati College-Conservatory of Music, the First Annual Graduate Student Conference at Temple University, and the annual meetings of Music Theory Southeast and the New England Conference of Music Theorists. My thanks as well to those who commented on my paper at these events, and to the reviewers and staff at MTO. I am exceedingly grateful to Robert Cuckson and William Rothstein for refining my ideas about Bruckner; to Hedi Siegel, David Loeb, Poundie Burstein, Joseph Straus, and Carl Schachter for helping me to communicate them; and to Christina Lee, Yuval Shapira, Timothy Mastic, Nicholas Betson, and Megan Lavengood for informal discussions of difficult issues. Jeffrey Hodes helped me write code to digitize my musical examples. Earlier versions of this article were read in 2013 at the Mannes in-house symposium (Papier-Mâché) and in 2014 at the Third Graduate Student Conference at Mannes College, the Annual Research Symposium at Indiana University, Approaches to Analysis and Interpretation at the Cincinnati College-Conservatory of Music, the First Annual Graduate Student Conference at Temple University, and the annual meetings of Music Theory Southeast and the New England Conference of Music Theorists. My thanks as well to those who commented on my paper at these events, and to the reviewers and staff at MTO. 1. Several authors explicitly forego traditional tonal analysis of Bruckner because they believe the music to obey a different logic. These include: Horton (2004b, 160), Puffett (1999, 8–11), and Weiss (1988, 44–45). See the following decidedly non-prolongational graphs: Horton 2004b, 51–53, 81, 87, 116–41, 206–9, and 253; Puffett 1999, 51–99; and Benjamin 1996, 243, 249, and 251. Analysts may also implicitly deny Bruckner’s music a tonal basis by eschewing Schenkerian means for approaching the analysis. This seems to be the stance taken by Benjamin Korstvedt (2001, 188–99). Following Kurth, he provides graphs of “harmonic frameworks” without indicating voice-leading relations, implying that he finds tonal governance to operate more loosely in this music than in the tonal canon: “Bruckner’s harmonic style, with its range of modulation, its complex sonorities, and its rich chromaticism, mitigates against the establishment and maintenance of two tonal poles” (188). Instead, Korstvedt finds a substitute in “what Carl Dahlhaus termed ‘centripetal harmony’: open-ended harmony that strives to reach an ‘unheard’ tonal center, the absence of which constitutes a structural dissonance” (190–91). And Kevin Swinden (2004, 206) and Miguel Ramirez (2013, 160) have argued for a sort of patchwork containing both Schenkerian and neo-Riemannian elements. 2. See also Jackson’s Examples 8.8–9, which show a long Anstieg to a Kopfton 3̂ in m. 39 that lacks harmonic support (2001, 223); and his “augmented [triad] reading” for the finale of the Seventh Symphony (1997, 189). 3. Laufer takes a similar approach to the Adagio of the Ninth Symphony (1997, 248). Here he is more explicit about the music articulating a structural descent after the Anstieg. It does not seem unreasonable to observe that Laufer appears to regard the Anstieg as even more form-generating than interruption in Bruckner’s music. 4. See also Ramirez 2013, 159 for an excellent distillation of the problem. 5. I should mention that a few of these authors occasionally display some misprision in one way or another of the Schenkerian project (see for instance Puffett 1999, 12). But there are some noteworthy exceptions; in particular Joseph Kraus (1997; 2001), Kai Lindberg (2003; 2014), and Boyd Pomeroy (2011a) have rendered Bruckner’s voice leading more conservatively. Pomeroy views the Schenkerian approach as a valuable tool for Bruckner analysis, but questions its total applicability: “Bruckner did indeed compose in a different way from Schenker’s 19th-century exemplars of the art of Auskomponierung” (2011a, 154). Unlike Pomeroy, I believe that Bruckner does string together structural middleground harmonies with tonal voice leading—Lindberg agrees (2014, 194). However, this determination can only be made by a very thorough examination of Bruckner’s foregrounds; in that respect, the present study represents only a first step. 6. See [Jonas and Salzer]  1989: “und er [Schenker] kannte wirklich jeden Takt jeder Scarlatti-Sonate auswendig bis ins letzte, ebenso wie jeden Takt jeder Brucknersymphonie!” (17). 7. Schenker’s love/hate relationship with Bruckner permeates his work from his years as a critic in the 1890s all the way until Der freie Satz (1935). Many of these writings are excerpted by Jonas in Der Dreiklang ( 1989, 166–76); and Federhofer reprints in full Schenker’s reviews (in Die Zukunft and Die Zeit) from 1893 and 1896 (1990, 41–42, 57–61, and 197–205). Although Schenker admired Bruckner—and, in spite of his technical flaws, considered him a far greater composer than those who succeeded him—he seemed determined to offer his music as Gegenbeispiele in all three volumes of Neue Musikalische Theorien und Phantasien. In fact, the third volume—which ultimately became Der freie Satz—was originally meant to be a lengthy polemic against, among others, Bruckner; this polemic survives as “Über den Niedergang der Kompositionskunst” (quoted above). Schenker’s opinion of Bruckner is well captured by Laufer (1997, 209–11) and Pomeroy (2011a, 153–54). Drabkin reprints the only sketch Schenker is known to have made of a Bruckner piece, the Scherzo of the Third Symphony (2011, 48–49). It is productive to consider Schenker’s assessment (“ein Potpourri von Exaltationen”) alongside that of his contemporary, Ernst Kurth. What Schenker criticized as a collection of well-written but disunified fragments—“leaping from peak to peak” ([1905–1909] 2005, 117)—Kurth praised, calling them “symphonic waves” (symphonische Wellen) and emphasizing that they embodied true organicism in their growth and succession ( 1991, 279–355). To be sure, the divergence of their opinions about Bruckner largely stems from the fact that Schenker was more concerned with matters of tonal cohesion, Kurth with principles of energetics. 8. An excellent overview of Bruckner’s general sonata-form practices can be found in Korstvedt 2004, 175–76. 9. Specifically, Bruckner’s view of the exposition is simpler because it does not consider a modulating transition to constitute a separate section. See Hooper 2011: “Whereas Marx (1837–47), Lobe (1850), and Richter (1852) include a transition after the primary theme, thus resulting in a four-part exposition (i.e., using Lobe’s terms: Themagruppe-Übergangsgruppe-Gesanggruppe-Schlussgruppe), the exposition in Bruckner’s own conception of sonata form has only three parts: Eingangsperiode-Gesangsperiode-Schlußperiode und Anhang” (52). Korstvedt emphasizes the tremendous consistency of Bruckner’s sonata-form practices, calling them “highly characteristic” (2004, 175). 11. From Hanslick’s Neue freie Presse review of “Um Mitternacht,” WAB 90 and of the String Quintet, WAB 112 (February 26, 1885). Hanslick’s views and language formed the nucleus around which the late nineteenth-century Brahmsian reception of Bruckner crystalized. Schenker’s opinion of Bruckner appears to be steeped in Hanslick’s rhetoric; indeed, Hanslick’s review, quoted above, could easily have been written by Schenker. But on the other hand, Schenker was by no means just another Viennese critic parroting the jargon of the Brahms camp; he (not modestly) deemed his own musical understanding incomparably superior to Hanslick’s, which perforce rendered his judgments all the more considered and nuanced, despite the external similarities (Rothstein 2016, 662). 12. The “alienated” secondary theme zone is one of seven deformational types Darcy enumerates. He also theorizes a narrower sort of alienation that refers specifically to the relation between the key of the second theme and the harmony that prepares it. Although this discussion (1997, 272–74) is among the most valuable in his essay (and to my knowledge has not been built on by more recent writings), it does not directly concern our topic here. 13. In Darcy’s conception, the tonal alienation of the key design is intertwined with the sort of expressive alienation the themes evince: “If the movement is playing out a minor-mode redemption paradigm, the secondary zone presents, in effect, a visionary world—perhaps Utopian, Arcadian, or eschatological—but in any case, an alternative world which, Bruckner seems to say, cannot possibly be realized in the here and now” (274). For Pomeroy, speaking about the Eighth and Ninth Symphonies’ first movements, the effect is of “idyllic transience and unsustainability” (2011b, 91). Although Korstvedt rejects Formenlehre approaches to the symphonies (2001, 186), he seems to share Darcy’s sense about Bruckner’s second themes. In reference to the Sixth Symphony’s first movement, he writes: “the second theme group . . . [seems] to stand in splendid isolation” (195). This idea of “alienation” seems to have been imported from the Schubert literature, where it has long been a common trope. For one (early) example out of many, see James Webster’s groundbreaking 1978 article “Schubert’s Sonata Form and Brahms’s First Maturity”: “No earlier composer introduced such songful, almost otherworldly second themes into a sonata-form movement as Schubert” (20). And later: “Schubert places the second theme outside the dominant much more frequently than any earlier composer, and the correlation between his remote flat-side tonal relations and his lyrical second themes seems to be no accident. Both spring from a contemplative rather than an active, a self-contained rather than a dynamic rhythm” (24). 14. Many of these concepts saw great refinement in the dozen years between Darcy’s authorship of “Bruckner’s Sonata Deformations” (1997) and the publication of Elements of Sonata Theory (2006). (My thanks to James Hepokoski for his helpful comments on these matters.) In the latter, the blanket label “deformations” is replaced with a three-tiered system of norms, lower-level defaults, and deformations (this last term reserved for only the most novel formal choices). The scope of these categories is dialogically conditioned, meaning that they adapt to changes in stylistic expectation. The “alienated secondary theme zone” does not exist in Elements of Sonata Theory’s treatment of the exposition. (It can exist in the recapitulation; see 2006, 245–47). However, the central idea underlying Darcy’s (1997) concept of “tonal alienation” in the exposition does survive in several Sonata Theory constructions, two of which are especially pertinent to the treatment of Bruckner’s second themes. One explicitly nineteenth-century option, an “S—SC” configuration, reads a dramatic break-down of the second theme, leading to a redemptive third theme. This idea was advanced by Hepokoski and Darcy (2006, 191) and considered at length by Betson (2012). Or, perhaps more traditionally, one might designate the second and third themes as “TM1” and “TM3” respectively within a “trimodular block.” (See Hepokoski and Darcy 2006, 170–77.) By definition, these constructions view Bruckner’s second themes as unsuccessful and “wrong” because they fail to cadence in some key: “The purpose of S within the exposition is to reach and stabilize a perfect authentic cadence in the new key” (2006, 177). Thus, although Darcy’s concept of expositional alienation is not retained by Sonata Theory, the same ideas remain implicitly foundational to its approach. 15. Certainly, few of these movements display a truly normal approach to sonata form. And as such, in Darcy’s (1997) terms they are indeed deformational. But I would question the extent that a sonata is “deformed” when so many examples feature so wide a range of irregularities. Rather, I prefer to think of these cases as inevitable outgrowths from a ‘path of least resistance’ determined by tonal voice-leading eventualities (such as the gravitation towards V in major, III in minor). Composers can and often do choose to follow a more difficult voice-leading path, testing the cohesive mettle of a naturally elastic medium. When they do so, they often create an excitation of the middleground voice leading that has dramatic implications in the foreground. 16. Horton has considered the problem of nineteenth-century Formenlehre at length. Although his argumentation follows a different track than mine, his conclusion is similar: “the evidence for a body of work that fulfils rather than distorts the Formenlehre model (whatever that may be) remains patchy. It is, in truth, hard to find a canonical nineteenth-century sonata form that does not in some sense deviate from the models of Reicha, Marx, or Czerny” (2005, 10). As such, the proclivity of even the most broadly conceived Formenlehre model to oversimplify is hard to overcome; and thus in my view, Darcy’s Bruckner emerges too modern because his foils are too traditional. 17. While I do choose in Example 1 to designate all of these dominants as structural in the deepest sense, I should hasten to add that they need not be read as such. For minor-mode movements whose expositions contain major dominants (i.e., the finale of the Third Symphony and the opening movements of the Eighth and Ninth), we could just as easily regard these dominants as Teilers—local expansions of the tonic through its upper fifth that are “back-relating” in the sense that they do not resolve to the final tonic. Pomeroy graphs the first movement of Bruckner’s Ninth in exactly this way (2011b, 92–93). This question cannot be treated briefly (especially with regard to the problematic Third Symphony finale), but it is of small consequence to my larger argument. Suffice it to say that I am inclined to treat all of Bruckner’s minor-mode expositional dominants as structural because of the analogy with his major-mode sonata forms. To regard dominants in minor as back-relating but dominants in major as structural is to conceive of the minor-mode symphonies as fundamentally different in construction from their major-mode siblings. I believe Bruckner most often operated according to the opposite principle, that of blurring the distinction between minor and major modes. Specifically, I read these dominants as generating the development section through a V—III—I arpeggiation, a technique pioneered by Haydn, Mozart, and Beethoven (Beach 1983; Schachter 1987, 296–98) and greatly favored by Bruckner. 18. I will not discuss the exposition of the Fourth Symphony’s opening movement, for which see Laufer 2001, 116–28. I take different readings of several passages, but an approximate analogue to the level of detail I show in Example 4 can be found in his Example 36, page 128. 19. The String Quintet follows this pattern as well. The second theme of its first movement is in the key of the dominant (m. 29), whereas the finale’s second theme is in the key of the leading tone (m. 33). The tonal plan of the Ninth Symphony’s finale is far harder to grasp because eight crucial measures in the development are missing. It is therefore impossible to tell whether the A major of m. 273 (the would-be structural dominant) is prolonged until m. 291, after which follows the retransition. However, the exposition survives intact and we can discern that it follows the same practice as Bruckner’s other finale expositions: the second theme (m. 83) is not in the dominant, but rather the major subdominant (G major). The exposition concludes in E minor (II) at m. 228. Crucial for developing an understanding of the finale—its compositional genius and the state of its sources—is the work of John A. Phillips. See in particular his 1999 performing edition and 2001 article. 20. Other authors have presented descriptions or tables similar to my Example 1 (Darcy 1997, 272–74; Korstvedt 2004, 174). Yet the pattern has not emerged, I suspect, because they label key areas with letter names (e.g., D minor, F major) rather than with Roman numerals as Stufen. 21. I have found that there are surprisingly few real enharmonic shifts in Bruckner; usually the middleground behavior of chromatic notes allows a passage to be read either entirely in sharps or entirely in flats. 22. Very few authors have considered the vast length of Bruckner’s symphonies from a theoretical standpoint. Korstvedt touches on the matter briefly, connecting “characteristic chromaticism, remote modulation, episodic formal approach, and expansive time scale” (2001, 195), but not making the point explicit. For similar observations, see Benjamin 1996, 237–38 and 253–54. Kraus, in the only extended treatment of time as a concept in Bruckner, attempts to uncover instances of what Jonathan Kramer has termed non-linear, multiply-directed, and vertical time (2001, 259–62). However, his focus and conclusions differ from mine. 23. Dahlhaus provides a complementary perspective: “the shrinking of thematic material in inverse proportion to the ambition to create larger forms” led composers to rely on “real, modulatory sequence[s] . . . which [were] now liable to produce . . . superabundant chromaticism” (1980, 76). 24. What, then, of the numerous Scarlatti sonatas or Chopin mazurkas that behave quite oddly? I would guess that in a deeper sense, there is probably a difference in the way big and small movements deploy their chromaticism: that in large movements, a thread must exist that organically transfers chromaticism at fairly deep structural levels into the shallower levels, lest the foreground’s chromaticism seem haphazard or arbitrary—as if a late addition. When it is prepared in this way on deeper structural levels, the chromaticism tends to beget more chromaticism; and so the major chromatic events of a long movement are generally surrounded by others on the same voice-leading layer. In short pieces, however, the journey from background to foreground is more quickly accomplished, and there is less time to sprinkle and nurture chromaticism throughout the voice leading. As a result, it is more acceptable in short pieces for chromaticism to exist only on the shallowest layers, and what deeper chromatic events do exist are very often presented as singularities, without counterparts on their structural level. I hasten to add that these are provisional hunches that would require a great deal of research to substantiate—an avenue for future scholarship to be sure. 25. See Tovey 1935, 77: “You must not expect Bruckner to make a finale ‘go’ like a classical finale. He is in no greater hurry at the end of a symphony than at the beginning.” Needless to say, I consider this a fundamental mishearing of the finales. Although none of Bruckner’s finales approaches a classical vivace or presto, he made all of them “go” at a considerably faster clip than their corresponding opening movements. 26. As Carl Schachter notes (in reference to Brahms’s Second Symphony), “Such an explanation is preferable to one that merely names keys without trying to understand how they are connected” (1983, 62). 27. To my knowledge, most of this material has not been analyzed graphically in prior scholarship. Foreground graphs of Bruckner are also quite rare. For voice-leading sketches of passages from the Third Symphony, see Horton 2004b, 51–53. For the Fourth, see Lindberg 2003, 54–62. For the Sixth, see Swinden 2004, 215–17. For the Seventh, see Jackson 1997, 188–89. And for the Eighth, see Horton 2004b, 87 and 140; Benjamin 1996, 239–45; and Ramirez 2013, 183–91. 28. The finale of the Sixth Symphony provides an excellent illustration of how voice-leading agency—the tones themselves—can shape form. While the chromatic voice exchange to an augmented sixth is a typical voice-leading maneuver, it rarely occurs over such a protracted time span. This creates a need in the voice leading, one that Bruckner responded to on some level. By casting the second theme in C major ( III), he provides consonant support for the voice exchange, a sensitive compositional reaction (whether conscious or not) to concerns of middleground voice leading. Brahms does something similar in the first movement of the Second Symphony (Schachter 1983, 62–68). 29. For reasons of space, I am not able to include very detailed prose explanations of the Appendix graphs, as I did for Example 3 above. I have provided only the most essential commentary, found in the boxed text surrounding the graphs. Clicking on blue asterisks will reveal the commentary. Clicking on green asterisks will reveal more figures. Here in the Appendix it seemed appropriate to use a wide array of analytic techniques—from figured bass or metrical reductions, to layered contrapuntal sketches, to middleground and foreground voice-leading graphs. A note about terminology: I use the word “surface” to refer to a minute structural layer between the foreground and the composer’s score, a layer that has the same voice-leading dispositions as the score. 30. For explicit discussions of the latter connection, see Webster 1978, 26–31; and Schachter 1983, 65–66. Works by Schubert that contain three-key expositions can be classified into two broad groups: those in which the second key areas are tonally open (well-known examples include the C major String Quintet, D. 956 and the B major Piano Sonata, D. 960) and those in which they are tonally closed (as in the “Death and the Maiden” Quartet in D minor, D. 810 or the piano four-hands movement Lebensstürme, D. 947). Although he wrote expositions in both ways consistently throughout his career (pace Webster 1978, 26), Schubert favored leaving the second group tonally open, allowing for a more integrated preparation of the dominant. These two approaches can have a vastly different effect, in spite of their outward, “three-key” similarities. The 17 movements (first movements unless otherwise noted) that use the closed type of three-key exposition are: D. 8, 125 (I & IV), 353 (IV), 385, 408, 574 (IV), 575, 617 (III), 655, 667 (II), 675, 703, 810 (I & IV), 894 (II), and 947. The 24 movements with the open type are: D. 11, 68, 84, 112, 173, 200 (IV), 417 (IV), 537 (III), 570, 590, 591, 594, 613 (I & III), 617, 647, 648, 803, 812, 840, 929, 944, 956, and 960. However, these include several subtle cases in which it is difficult to decide how “closed” the second key area is. Webster provides an excellent discussion of these gradations (1978, 28–30). See also Kessler 2006; Grant forthcoming; and Hunt 2009, 80–102. Hunt’s list and methodology differ from mine. 31. See, for example, Hepokoski and Darcy 2006, 177 (quoted above in n14); and Caplin: “Music in the classical style is often characterized as highly goal directed, and many of the principal goals in a composition are the cadences marking the ends of themes and themelike units” (1998, 42). Caplin discusses three-key expositions briefly, calling the term “somewhat of a misnomer,” because “in the classical style, the ‘second’ key, the one beginning the subordinate theme, is rarely confirmed as such by cadential closure” (1998, 119). 32. Schenker criticized this predilection of Bruckner’s in a sharply worded (and rather gratuitous) footnote from the section in Der freie Satz on auxiliary cadences: “Anton Bruckner was not capable of starting a musical thought, much less a whole first movement, with the aid of an auxiliary cadence. Thus the impression of a rigid succession of thought in his work: the ideas usually come in blocks, each one with a new tonic at the beginning” ( 1979, 89). However, Schenker’s criticism is slightly misplaced: the first movement of the Eighth Symphony begins off-tonic. And almost all of Bruckner’s finales also begin with auxiliary cadences, as well as several of his third themes. Nevertheless, Schenker’s remark certainly holds true in regard to Bruckner’s second themes. Burstein discusses Schenker’s footnote as well, calling its “mean-spirited swipe” unjustified (2005, 168, fn 28). 33. According to this more Schenkerian way of thinking, which privileges important tonal events with less regard to their precise formal function, a theme does not need to cadence in order to assert its key. This is surely true of the first theme in very many sonata forms, and for Bruckner (and oftentimes for Schubert and Brahms as well) it is also true of the second theme. 34. Like the Adagio of the Sixth Symphony, the finale of Bruckner’s String Quintet (1879) is also a movement in F major with a second theme (m. 33) in E major. This fascinating movement—very involved, both formally and tonally—shares major features of structure and design with the succeeding symphonies as well. With the Seventh Symphony’s finale it shares an off-tonic, reversed recapitulation (mm. 131 ff.). And as in the finale of the Eighth Symphony, an off-tonic opening creates a fifth relation that connects the third and fourth movements, indeed even circulating the same pitches to do so: G , D , and C. Because of the Quintet’s off-tonic opening and reversed recapitulation, an F major tonic does not sound until very close to the end (m. 173, within the recapitulation of the first theme; the tonic is confirmed in the exuberant coda, at m. 181): in other words, a large-scale auxiliary cadence. Without considering the precise voice leading of the finale, we can at least observe that precedent exists for this remarkable technique in movements which Schenker himself sketched, like Chopin’s A minor Prélude, Op. 28, No. 2 ( 1979, Figure 100,a3). The Quintet presents further formal intrigue too: for one to claim that this finale has a third theme, as is the rule for Brucknerian sonata forms, one would have to admit that it does double-duty as the beginning of the development section (m. 71), somewhat similar to a sonata rondo. There is far more to be said about this provocative movement. Suffice it to say that the Quintet finale gives proof of the conviction and consistency of Bruckner’s sonata practice, lest we think that some of his more unorthodox movements (for instance, the Adagio of the Sixth and the finale of the Seventh) are outliers. 35. Jackson shows quite a different reading of the Adagio from my Example 5 (2001, 224, Example 8.9). See also Horton 2004a, 87–88. In order to highlight Bruckner’s motivic procedures, I incorporate score excerpts into the foreground graphs of Example 6. 36. In the Appendix, I include additional figures that account for the contrapuntal role of this augmented sixth more fully. These figures supplement the sketches of the Adagio that I supply in Examples 5 and 6, providing a slightly different—and more controversial—reading. 37. Joseph Straus has pointed out to me the explicitly political wording of this passage, in addition to the more common gravitational metaphor. 38. I borrow the excellent term “tonal ruptures” from Ryan Kosseff-Jones (personal communication). 39. In the symphonies of Mahler, such tonal ruptures happen with some frequency, and the question of classical monotonality seems beside the point (Kosseff-Jones 2017). Examples of second themes that seem to be designed to create this sort of rupture can be found in the first movement of the Second Symphony (mm. 48–62) and the second movement of the Fifth Symphony (mm. 74–140). Although not a sonata movement, the Andante of the Sixth Symphony provides a particularly compelling example (beginning at m. 56). My thanks to William Rothstein and Ryan Kosseff-Jones for drawing my attention to some of these passages. Several authors explicitly forego traditional tonal analysis of Bruckner because they believe the music to obey a different logic. These include: Horton (2004b, 160), Puffett (1999, 8–11), and Weiss (1988, 44–45). See the following decidedly non-prolongational graphs: Horton 2004b, 51–53, 81, 87, 116–41, 206–9, and 253; Puffett 1999, 51–99; and Benjamin 1996, 243, 249, and 251. Analysts may also implicitly deny Bruckner’s music a tonal basis by eschewing Schenkerian means for approaching the analysis. This seems to be the stance taken by Benjamin Korstvedt (2001, 188–99). Following Kurth, he provides graphs of “harmonic frameworks” without indicating voice-leading relations, implying that he finds tonal governance to operate more loosely in this music than in the tonal canon: “Bruckner’s harmonic style, with its range of modulation, its complex sonorities, and its rich chromaticism, mitigates against the establishment and maintenance of two tonal poles” (188). Instead, Korstvedt finds a substitute in “what Carl Dahlhaus termed ‘centripetal harmony’: open-ended harmony that strives to reach an ‘unheard’ tonal center, the absence of which constitutes a structural dissonance” (190–91). And Kevin Swinden (2004, 206) and Miguel Ramirez (2013, 160) have argued for a sort of patchwork containing both Schenkerian and neo-Riemannian elements. See also Jackson’s Examples 8.8–9, which show a long Anstieg to a Kopfton 3̂ in m. 39 that lacks harmonic support (2001, 223); and his “augmented [triad] reading” for the finale of the Seventh Symphony (1997, 189). Laufer takes a similar approach to the Adagio of the Ninth Symphony (1997, 248). Here he is more explicit about the music articulating a structural descent after the Anstieg. It does not seem unreasonable to observe that Laufer appears to regard the Anstieg as even more form-generating than interruption in Bruckner’s music. See also Ramirez 2013, 159 for an excellent distillation of the problem. I should mention that a few of these authors occasionally display some misprision in one way or another of the Schenkerian project (see for instance Puffett 1999, 12). But there are some noteworthy exceptions; in particular Joseph Kraus (1997; 2001), Kai Lindberg (2003; 2014), and Boyd Pomeroy (2011a) have rendered Bruckner’s voice leading more conservatively. Pomeroy views the Schenkerian approach as a valuable tool for Bruckner analysis, but questions its total applicability: “Bruckner did indeed compose in a different way from Schenker’s 19th-century exemplars of the art of Auskomponierung” (2011a, 154). Unlike Pomeroy, I believe that Bruckner does string together structural middleground harmonies with tonal voice leading—Lindberg agrees (2014, 194). However, this determination can only be made by a very thorough examination of Bruckner’s foregrounds; in that respect, the present study represents only a first step. See [Jonas and Salzer]  1989: “und er [Schenker] kannte wirklich jeden Takt jeder Scarlatti-Sonate auswendig bis ins letzte, ebenso wie jeden Takt jeder Brucknersymphonie!” (17). Schenker’s love/hate relationship with Bruckner permeates his work from his years as a critic in the 1890s all the way until Der freie Satz (1935). Many of these writings are excerpted by Jonas in Der Dreiklang ( 1989, 166–76); and Federhofer reprints in full Schenker’s reviews (in Die Zukunft and Die Zeit) from 1893 and 1896 (1990, 41–42, 57–61, and 197–205). Although Schenker admired Bruckner—and, in spite of his technical flaws, considered him a far greater composer than those who succeeded him—he seemed determined to offer his music as Gegenbeispiele in all three volumes of Neue Musikalische Theorien und Phantasien. In fact, the third volume—which ultimately became Der freie Satz—was originally meant to be a lengthy polemic against, among others, Bruckner; this polemic survives as “Über den Niedergang der Kompositionskunst” (quoted above). Schenker’s opinion of Bruckner is well captured by Laufer (1997, 209–11) and Pomeroy (2011a, 153–54). Drabkin reprints the only sketch Schenker is known to have made of a Bruckner piece, the Scherzo of the Third Symphony (2011, 48–49). An excellent overview of Bruckner’s general sonata-form practices can be found in Korstvedt 2004, 175–76. Specifically, Bruckner’s view of the exposition is simpler because it does not consider a modulating transition to constitute a separate section. See Hooper 2011: “Whereas Marx (1837–47), Lobe (1850), and Richter (1852) include a transition after the primary theme, thus resulting in a four-part exposition (i.e., using Lobe’s terms: Themagruppe-Übergangsgruppe-Gesanggruppe-Schlussgruppe), the exposition in Bruckner’s own conception of sonata form has only three parts: Eingangsperiode-Gesangsperiode-Schlußperiode und Anhang” (52). Korstvedt emphasizes the tremendous consistency of Bruckner’s sonata-form practices, calling them “highly characteristic” (2004, 175). From Hanslick’s Neue freie Presse review of “Um Mitternacht,” WAB 90 and of the String Quintet, WAB 112 (February 26, 1885). Hanslick’s views and language formed the nucleus around which the late nineteenth-century Brahmsian reception of Bruckner crystalized. Schenker’s opinion of Bruckner appears to be steeped in Hanslick’s rhetoric; indeed, Hanslick’s review, quoted above, could easily have been written by Schenker. But on the other hand, Schenker was by no means just another Viennese critic parroting the jargon of the Brahms camp; he (not modestly) deemed his own musical understanding incomparably superior to Hanslick’s, which perforce rendered his judgments all the more considered and nuanced, despite the external similarities (Rothstein 2016, 662). The “alienated” secondary theme zone is one of seven deformational types Darcy enumerates. He also theorizes a narrower sort of alienation that refers specifically to the relation between the key of the second theme and the harmony that prepares it. Although this discussion (1997, 272–74) is among the most valuable in his essay (and to my knowledge has not been built on by more recent writings), it does not directly concern our topic here. In Darcy’s conception, the tonal alienation of the key design is intertwined with the sort of expressive alienation the themes evince: “If the movement is playing out a minor-mode redemption paradigm, the secondary zone presents, in effect, a visionary world—perhaps Utopian, Arcadian, or eschatological—but in any case, an alternative world which, Bruckner seems to say, cannot possibly be realized in the here and now” (274). For Pomeroy, speaking about the Eighth and Ninth Symphonies’ first movements, the effect is of “idyllic transience and unsustainability” (2011b, 91). Although Korstvedt rejects Formenlehre approaches to the symphonies (2001, 186), he seems to share Darcy’s sense about Bruckner’s second themes. In reference to the Sixth Symphony’s first movement, he writes: “the second theme group . . . [seems] to stand in splendid isolation” (195). Many of these concepts saw great refinement in the dozen years between Darcy’s authorship of “Bruckner’s Sonata Deformations” (1997) and the publication of Elements of Sonata Theory (2006). (My thanks to James Hepokoski for his helpful comments on these matters.) In the latter, the blanket label “deformations” is replaced with a three-tiered system of norms, lower-level defaults, and deformations (this last term reserved for only the most novel formal choices). The scope of these categories is dialogically conditioned, meaning that they adapt to changes in stylistic expectation. The “alienated secondary theme zone” does not exist in Elements of Sonata Theory’s treatment of the exposition. (It can exist in the recapitulation; see 2006, 245–47). However, the central idea underlying Darcy’s (1997) concept of “tonal alienation” in the exposition does survive in several Sonata Theory constructions, two of which are especially pertinent to the treatment of Bruckner’s second themes. One explicitly nineteenth-century option, an “S—SC” configuration, reads a dramatic break-down of the second theme, leading to a redemptive third theme. This idea was advanced by Hepokoski and Darcy (2006, 191) and considered at length by Betson (2012). Or, perhaps more traditionally, one might designate the second and third themes as “TM1” and “TM3” respectively within a “trimodular block.” (See Hepokoski and Darcy 2006, 170–77.) By definition, these constructions view Bruckner’s second themes as unsuccessful and “wrong” because they fail to cadence in some key: “The purpose of S within the exposition is to reach and stabilize a perfect authentic cadence in the new key” (2006, 177). Thus, although Darcy’s concept of expositional alienation is not retained by Sonata Theory, the same ideas remain implicitly foundational to its approach. Certainly, few of these movements display a truly normal approach to sonata form. And as such, in Darcy’s (1997) terms they are indeed deformational. But I would question the extent that a sonata is “deformed” when so many examples feature so wide a range of irregularities. Rather, I prefer to think of these cases as inevitable outgrowths from a ‘path of least resistance’ determined by tonal voice-leading eventualities (such as the gravitation towards V in major, III in minor). Composers can and often do choose to follow a more difficult voice-leading path, testing the cohesive mettle of a naturally elastic medium. When they do so, they often create an excitation of the middleground voice leading that has dramatic implications in the foreground. Horton has considered the problem of nineteenth-century Formenlehre at length. Although his argumentation follows a different track than mine, his conclusion is similar: “the evidence for a body of work that fulfils rather than distorts the Formenlehre model (whatever that may be) remains patchy. It is, in truth, hard to find a canonical nineteenth-century sonata form that does not in some sense deviate from the models of Reicha, Marx, or Czerny” (2005, 10). As such, the proclivity of even the most broadly conceived Formenlehre model to oversimplify is hard to overcome; and thus in my view, Darcy’s Bruckner emerges too modern because his foils are too traditional. While I do choose in Example 1 to designate all of these dominants as structural in the deepest sense, I should hasten to add that they need not be read as such. For minor-mode movements whose expositions contain major dominants (i.e., the finale of the Third Symphony and the opening movements of the Eighth and Ninth), we could just as easily regard these dominants as Teilers—local expansions of the tonic through its upper fifth that are “back-relating” in the sense that they do not resolve to the final tonic. Pomeroy graphs the first movement of Bruckner’s Ninth in exactly this way (2011b, 92–93). This question cannot be treated briefly (especially with regard to the problematic Third Symphony finale), but it is of small consequence to my larger argument. Suffice it to say that I am inclined to treat all of Bruckner’s minor-mode expositional dominants as structural because of the analogy with his major-mode sonata forms. To regard dominants in minor as back-relating but dominants in major as structural is to conceive of the minor-mode symphonies as fundamentally different in construction from their major-mode siblings. I believe Bruckner most often operated according to the opposite principle, that of blurring the distinction between minor and major modes. Specifically, I read these dominants as generating the development section through a V—III—I arpeggiation, a technique pioneered by Haydn, Mozart, and Beethoven (Beach 1983; Schachter 1987, 296–98) and greatly favored by Bruckner. I will not discuss the exposition of the Fourth Symphony’s opening movement, for which see Laufer 2001, 116–28. I take different readings of several passages, but an approximate analogue to the level of detail I show in Example 4 can be found in his Example 36, page 128. The String Quintet follows this pattern as well. The second theme of its first movement is in the key of the dominant (m. 29), whereas the finale’s second theme is in the key of the leading tone (m. 33). The tonal plan of the Ninth Symphony’s finale is far harder to grasp because eight crucial measures in the development are missing. It is therefore impossible to tell whether the A major of m. 273 (the would-be structural dominant) is prolonged until m. 291, after which follows the retransition. However, the exposition survives intact and we can discern that it follows the same practice as Bruckner’s other finale expositions: the second theme (m. 83) is not in the dominant, but rather the major subdominant (G major). The exposition concludes in E minor (II) at m. 228. Crucial for developing an understanding of the finale—its compositional genius and the state of its sources—is the work of John A. Phillips. See in particular his 1999 performing edition and 2001 article. Other authors have presented descriptions or tables similar to my Example 1 (Darcy 1997, 272–74; Korstvedt 2004, 174). Yet the pattern has not emerged, I suspect, because they label key areas with letter names (e.g., D minor, F major) rather than with Roman numerals as Stufen. I have found that there are surprisingly few real enharmonic shifts in Bruckner; usually the middleground behavior of chromatic notes allows a passage to be read either entirely in sharps or entirely in flats. Very few authors have considered the vast length of Bruckner’s symphonies from a theoretical standpoint. Korstvedt touches on the matter briefly, connecting “characteristic chromaticism, remote modulation, episodic formal approach, and expansive time scale” (2001, 195), but not making the point explicit. For similar observations, see Benjamin 1996, 237–38 and 253–54. Kraus, in the only extended treatment of time as a concept in Bruckner, attempts to uncover instances of what Jonathan Kramer has termed non-linear, multiply-directed, and vertical time (2001, 259–62). However, his focus and conclusions differ from mine. Dahlhaus provides a complementary perspective: “the shrinking of thematic material in inverse proportion to the ambition to create larger forms” led composers to rely on “real, modulatory sequence[s] . . . which [were] now liable to produce . . . superabundant chromaticism” (1980, 76). What, then, of the numerous Scarlatti sonatas or Chopin mazurkas that behave quite oddly? I would guess that in a deeper sense, there is probably a difference in the way big and small movements deploy their chromaticism: that in large movements, a thread must exist that organically transfers chromaticism at fairly deep structural levels into the shallower levels, lest the foreground’s chromaticism seem haphazard or arbitrary—as if a late addition. When it is prepared in this way on deeper structural levels, the chromaticism tends to beget more chromaticism; and so the major chromatic events of a long movement are generally surrounded by others on the same voice-leading layer. In short pieces, however, the journey from background to foreground is more quickly accomplished, and there is less time to sprinkle and nurture chromaticism throughout the voice leading. As a result, it is more acceptable in short pieces for chromaticism to exist only on the shallowest layers, and what deeper chromatic events do exist are very often presented as singularities, without counterparts on their structural level. I hasten to add that these are provisional hunches that would require a great deal of research to substantiate—an avenue for future scholarship to be sure. See Tovey 1935, 77: “You must not expect Bruckner to make a finale ‘go’ like a classical finale. He is in no greater hurry at the end of a symphony than at the beginning.” Needless to say, I consider this a fundamental mishearing of the finales. Although none of Bruckner’s finales approaches a classical vivace or presto, he made all of them “go” at a considerably faster clip than their corresponding opening movements. As Carl Schachter notes (in reference to Brahms’s Second Symphony), “Such an explanation is preferable to one that merely names keys without trying to understand how they are connected” (1983, 62). To my knowledge, most of this material has not been analyzed graphically in prior scholarship. Foreground graphs of Bruckner are also quite rare. For voice-leading sketches of passages from the Third Symphony, see Horton 2004b, 51–53. For the Fourth, see Lindberg 2003, 54–62. For the Sixth, see Swinden 2004, 215–17. For the Seventh, see Jackson 1997, 188–89. And for the Eighth, see Horton 2004b, 87 and 140; Benjamin 1996, 239–45; and Ramirez 2013, 183–91. The finale of the Sixth Symphony provides an excellent illustration of how voice-leading agency—the tones themselves—can shape form. While the chromatic voice exchange to an augmented sixth is a typical voice-leading maneuver, it rarely occurs over such a protracted time span. This creates a need in the voice leading, one that Bruckner responded to on some level. By casting the second theme in C major ( III), he provides consonant support for the voice exchange, a sensitive compositional reaction (whether conscious or not) to concerns of middleground voice leading. Brahms does something similar in the first movement of the Second Symphony (Schachter 1983, 62–68). For reasons of space, I am not able to include very detailed prose explanations of the Appendix graphs, as I did for Example 3 above. I have provided only the most essential commentary, found in the boxed text surrounding the graphs. Clicking on blue asterisks will reveal the commentary. Clicking on green asterisks will reveal more figures. Here in the Appendix it seemed appropriate to use a wide array of analytic techniques—from figured bass or metrical reductions, to layered contrapuntal sketches, to middleground and foreground voice-leading graphs. A note about terminology: I use the word “surface” to refer to a minute structural layer between the foreground and the composer’s score, a layer that has the same voice-leading dispositions as the score. For explicit discussions of the latter connection, see Webster 1978, 26–31; and Schachter 1983, 65–66. Works by Schubert that contain three-key expositions can be classified into two broad groups: those in which the second key areas are tonally open (well-known examples include the C major String Quintet, D. 956 and the B major Piano Sonata, D. 960) and those in which they are tonally closed (as in the “Death and the Maiden” Quartet in D minor, D. 810 or the piano four-hands movement Lebensstürme, D. 947). Although he wrote expositions in both ways consistently throughout his career (pace Webster 1978, 26), Schubert favored leaving the second group tonally open, allowing for a more integrated preparation of the dominant. These two approaches can have a vastly different effect, in spite of their outward, “three-key” similarities. The 17 movements (first movements unless otherwise noted) that use the closed type of three-key exposition are: D. 8, 125 (I & IV), 353 (IV), 385, 408, 574 (IV), 575, 617 (III), 655, 667 (II), 675, 703, 810 (I & IV), 894 (II), and 947. The 24 movements with the open type are: D. 11, 68, 84, 112, 173, 200 (IV), 417 (IV), 537 (III), 570, 590, 591, 594, 613 (I & III), 617, 647, 648, 803, 812, 840, 929, 944, 956, and 960. However, these include several subtle cases in which it is difficult to decide how “closed” the second key area is. Webster provides an excellent discussion of these gradations (1978, 28–30). See also Kessler 2006; Grant forthcoming; and Hunt 2009, 80–102. Hunt’s list and methodology differ from mine. See, for example, Hepokoski and Darcy 2006, 177 (quoted above in n14); and Caplin: “Music in the classical style is often characterized as highly goal directed, and many of the principal goals in a composition are the cadences marking the ends of themes and themelike units” (1998, 42). Caplin discusses three-key expositions briefly, calling the term “somewhat of a misnomer,” because “in the classical style, the ‘second’ key, the one beginning the subordinate theme, is rarely confirmed as such by cadential closure” (1998, 119). Schenker criticized this predilection of Bruckner’s in a sharply worded (and rather gratuitous) footnote from the section in Der freie Satz on auxiliary cadences: “Anton Bruckner was not capable of starting a musical thought, much less a whole first movement, with the aid of an auxiliary cadence. Thus the impression of a rigid succession of thought in his work: the ideas usually come in blocks, each one with a new tonic at the beginning” ( 1979, 89). However, Schenker’s criticism is slightly misplaced: the first movement of the Eighth Symphony begins off-tonic. And almost all of Bruckner’s finales also begin with auxiliary cadences, as well as several of his third themes. Nevertheless, Schenker’s remark certainly holds true in regard to Bruckner’s second themes. Burstein discusses Schenker’s footnote as well, calling its “mean-spirited swipe” unjustified (2005, 168, fn 28). According to this more Schenkerian way of thinking, which privileges important tonal events with less regard to their precise formal function, a theme does not need to cadence in order to assert its key. This is surely true of the first theme in very many sonata forms, and for Bruckner (and oftentimes for Schubert and Brahms as well) it is also true of the second theme. Like the Adagio of the Sixth Symphony, the finale of Bruckner’s String Quintet (1879) is also a movement in F major with a second theme (m. 33) in E major. This fascinating movement—very involved, both formally and tonally—shares major features of structure and design with the succeeding symphonies as well. With the Seventh Symphony’s finale it shares an off-tonic, reversed recapitulation (mm. 131 ff.). And as in the finale of the Eighth Symphony, an off-tonic opening creates a fifth relation that connects the third and fourth movements, indeed even circulating the same pitches to do so: G , D , and C. Because of the Quintet’s off-tonic opening and reversed recapitulation, an F major tonic does not sound until very close to the end (m. 173, within the recapitulation of the first theme; the tonic is confirmed in the exuberant coda, at m. 181): in other words, a large-scale auxiliary cadence. Without considering the precise voice leading of the finale, we can at least observe that precedent exists for this remarkable technique in movements which Schenker himself sketched, like Chopin’s A minor Prélude, Op. 28, No. 2 ( 1979, Figure 100,a3). The Quintet presents further formal intrigue too: for one to claim that this finale has a third theme, as is the rule for Brucknerian sonata forms, one would have to admit that it does double-duty as the beginning of the development section (m. 71), somewhat similar to a sonata rondo. There is far more to be said about this provocative movement. Suffice it to say that the Quintet finale gives proof of the conviction and consistency of Bruckner’s sonata practice, lest we think that some of his more unorthodox movements (for instance, the Adagio of the Sixth and the finale of the Seventh) are outliers. Jackson shows quite a different reading of the Adagio from my Example 5 (2001, 224, Example 8.9). See also Horton 2004a, 87–88. In order to highlight Bruckner’s motivic procedures, I incorporate score excerpts into the foreground graphs of Example 6. In the Appendix, I include additional figures that account for the contrapuntal role of this augmented sixth more fully. These figures supplement the sketches of the Adagio that I supply in Examples 5 and 6, providing a slightly different—and more controversial—reading. Joseph Straus has pointed out to me the explicitly political wording of this passage, in addition to the more common gravitational metaphor. I borrow the excellent term “tonal ruptures” from Ryan Kosseff-Jones (personal communication). In the symphonies of Mahler, such tonal ruptures happen with some frequency, and the question of classical monotonality seems beside the point (Kosseff-Jones 2017). Examples of second themes that seem to be designed to create this sort of rupture can be found in the first movement of the Second Symphony (mm. 48–62) and the second movement of the Fifth Symphony (mm. 74–140). Although not a sonata movement, the Andante of the Sixth Symphony provides a particularly compelling example (beginning at m. 56). My thanks to William Rothstein and Ryan Kosseff-Jones for drawing my attention to some of these passages.